Now let's see it....err.... strip? It's so usable, right? With a white sundress & pink shoes....Hello, Charlotte York! Last weekend, I was at a supermarket near my in-laws place and raided the beauty isle. Bare Essentials Hair Brush, Rs.160 ~ Also available in blue. 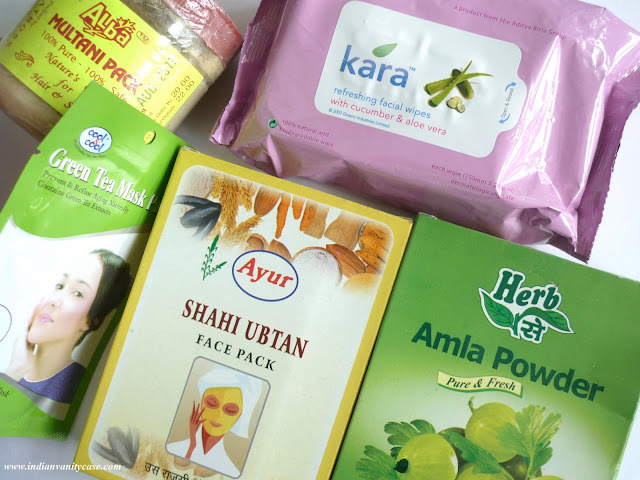 Ayur Shahi Ubtan Face Pack, Rs.40. Cool & Cool Green Tea Mask Pack, Rs.79. Kara Refreshing Facial Wipes with cucumber & aloe vera, Rs.75. 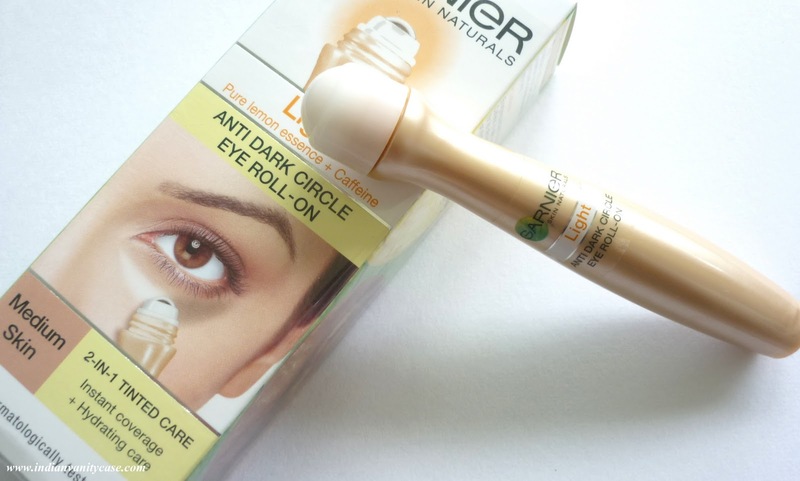 Below: Garnier Light Anti Dark Circle Eye Roll On (Medium Skin), Rs.199. *Revlon Bag from Shopper's Stop. 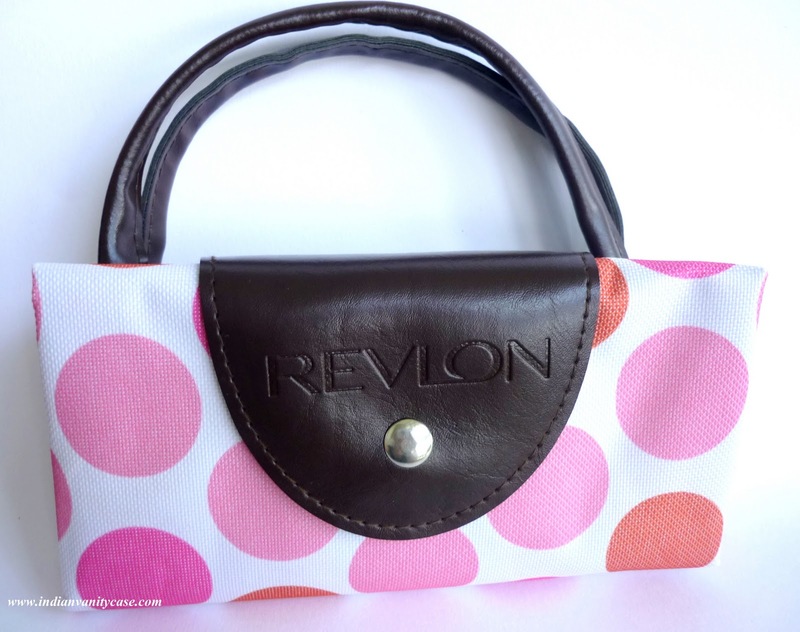 What did you think of the Revlon Bag? The bag comes freee?? :D woah! Great bag! I love how it folds up. Where did you get it? 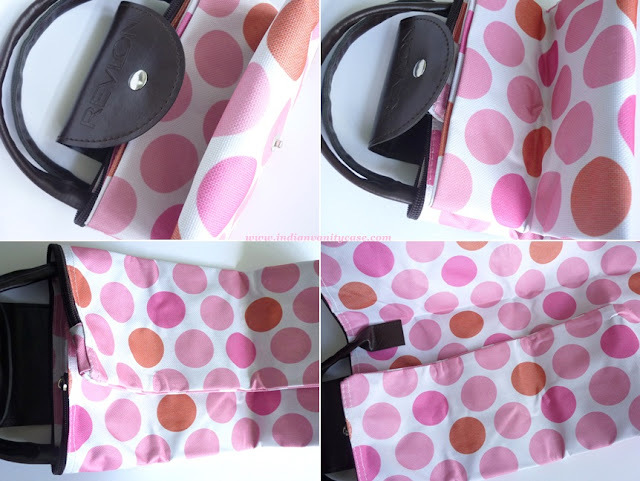 the bag is so pretty and its free:) and i also want a review of garnier eye roll on. What a cute bag! And the hauls aren't bad either! Oye ..super cute bag..very useful! Nice haul, Cynthia. I think the bag is so cute! *^_^* Reminds me of the Longchamp Le Pliage ones which fold up like that too. wow i love your haul! 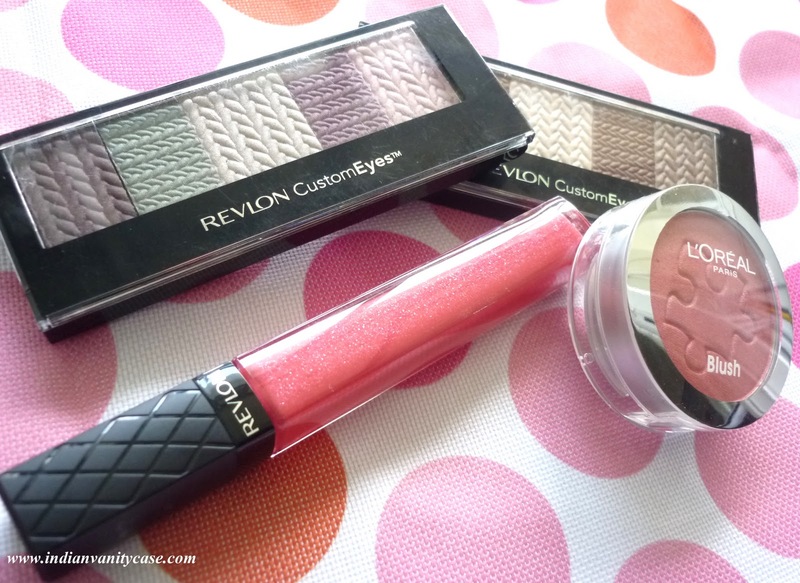 loving revlon too!! you've got a really nice blog! The bag is really cute!!! Also loved the brush! All girly and pink!! Lovely haul! The Revlon lippie looks gorgeous and the tote bag is so cute!